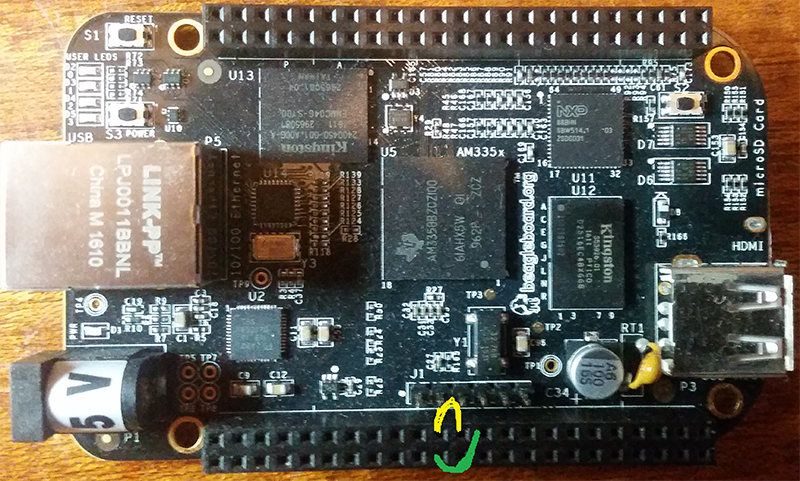 This is specific for the Beaglebone Black model C sold through Element 14 which includes retailers like Adafruit. There is quite a bit of info out on the net on how to enable the UART’s but for some reason, locations of things have changed. To check if this instruction is going to be valid for you, check to see if you have a file ‘uEnv.txt’ in your /boot folder. NOT in /boot/uboot folder! If so, good chance you’ve found the right how-to for you. This line will enable UART’s 1, 2, 4 and 5. Note, 0 is used by the console and 3 is a transmit only UART. Save the file using CTRL-X followed by a Y and [ENTER]. The O is a capital Oh not a zero. With the two terminals next to each other, type something in the first terminal and you should see it in the second terminal. Type something in the second terminal and it should also appear in the first terminal. Use Ctrl-A then X to exit from minicom. 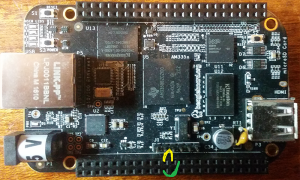 Happy developing with the Beaglebone black!